The things we take for granted (sigh). Most persons who grew up in rural Jamaica would be familiar with the Oil Nut Tree. I remembered as a child playing house or “dolly house” as we call it in Jamaica, and picking the oil nut and boiling it to use in my dolly house. Who would imagine that years to come this oil nut would be considered a key ingredient in the production of skin and hair care products both local and internationally? Not I! Ricinus Communis, as it is scientifically called - the Castor tree from which black castor oil is made, came to Jamaica via the slave trade and can be found all over the island, not just the rural areas. Looking to purchase Jamaican Black Castor Oil? In picking my mother’s early memories, black castor oil in its unrefined state was all she remembered her mother using back in the days for hair care. 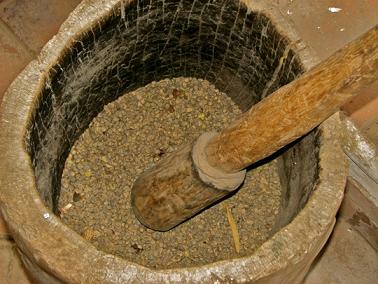 – some places in Africa use the beans to make necklaces and bracelets. I must say I have never seen it used in Jamaica for this purpose though. In thinking back to my childhood days visiting my grandparents in the country, there are a few things that stands out and one such is the smell of the castor beans been roasted. The process of making home made black castor oil can be a little lengthy but fun. 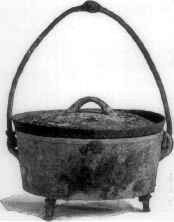 Here is how most persons produced their own black castor oil at home. Parching - dry roasting in a cast iron container, constantly stirring until the beans are golden brown. The parching process is responsible for the colour of the oil. The next step is grounding - This is done in a wooden mortar and involves crushing the beans until they get to a crummy powdery state. The final step is boiling - This is the longest stage. This entails adding water to the mixture and leaving to boil. After boiling for a while the oil starts collecting on top of the boiling water. The oil is skimmed and placed in another container to continue boiling. This is to get rid of any remaining water and leaving pure Black Jamaican Castor Oil. Ready Made Jamaican Black Castor Oil For Purchase? If you are in search of some authentic Jamaica Black Castor Oil and not able to make it from scratch a bottle is not far off, just visit any produce market around the island. If you are overseas, simple do a google shopping search on "Jamaican Castor Oil", you'll more than likely find some useful options. You may also purchase it directly at Amazon.com. 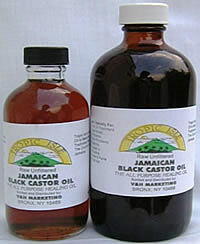 Return to Jamaican Products from Jamaican Black Castor Oil . Return to HomePage from Jamaican Black Castor Oil.